Disney fans old and young, kids and grown ups of every age, listen up! 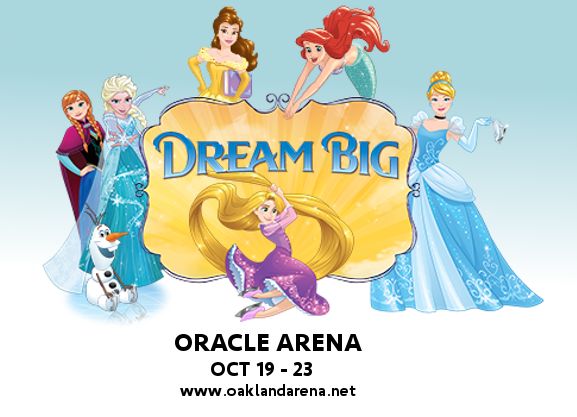 Disney On Ice is proud to present Dream Big, starring all the Disney Princesses! This special show at the Oracle Arena sees its final night on Monday 23rd October 2017! This is your last chance to catch this super special Disney spectacular – Tickets are on sale NOW! Get them now for you and all the family while they last! With Tinker Bell and the fairies presenting the show, Disney On Ice: Dream big tells shortened versions of the stories of the Disney Princesses, with Snow White, Belle, Jasmine, Cinderella, Tiana, Aurora, Rapunzel, and more live on ice! Featuring a special audience interaction moment during “Under The Sea,” where some members of the audience will get to ride on a boat across the ice, right in amongst the performers! Don’t miss out on this magical experience! Book your tickets to Disney On Ice: Dream Big while they last! !